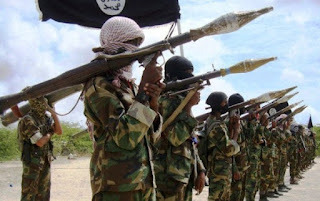 Suspected Boko Haram terrorists are currently on the rampage in Michika Local Government Area of Adamawa State, SaharaReporters can report. Hordes of residents have escaped to the mountains to take refuge, while those trapped in their homes were crying with deafening sounds of gunshots followed by explosions in the background. The insurgents, SaharaReporters understands, also had the audacity to enter a filling station to refuel some of their cars. “Boko Haram has taken over michika,” a resident screamed to SaharaReporters on the phone before going off the line abruptly. As of the time of filing this report, he had not responded. Michika is one of the 14 LGAs where the Independent National Electoral Commission (INEC) is expected to conduct supplementary governorship election on March 23.